Shorter duration of headache, compared with chronic headache respond favorably to occlusal adjustments and splints and therapeutic masticatory exercises. Patients with chronic daily headache are often unable to obtain much benefit from psychotherapy interventions. For such patients, the combination of psychotherapy (e.g., CBT) and the judicious use of pharmacologic interventions is likely to yield better clinical improvements than those achieved with either treatment alone (Lake 2001 Lipchik and Nash 2002). Headaches can occur secondary to acute or chronic subdural hematomas. 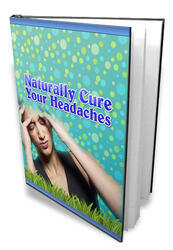 It usually presents as a severe, chronic, continuous, or intermittent headache that may last several days or weeks. Patients with subdural hematomas may feel dull, deep-seated unilateral pain often accompanied by confusion, drowsiness, and fluctuating hemiparesis. Positional worsening of the symptoms is seen with acute hematomas. Eye pain is a common feature in tento-rial hematomas, which is associated with the anatomical tent that covers the cerebellum. Diagnosis is established by CT and MRI imaging. Patients on anticoagulant therapy are at higher risk for hematomas. Either conservative treatment or surgical evacuation may be necessary. Headache is a common symptom in two-thirds of patients with brain tumors. They are deep seated, usually non-throbbing (occasionally throbbing) and are often described as aching and bursting. These headaches are non-specific in nature and are usually provoked by physical activity or changes in position. Diagnosis can be made based on the presence of a preexisting brain tumor and signs symptoms of increased intracranial pressure. These headaches are nearly always on the same side as the tumor and in later stages may be associated with projectile vomiting. Pain may last for hours and may recur many times during the day. These headaches are sometimes associated with vomiting, transient blindness, extremity weakness, and loss of consciousness which often show a high incidence of brain tumor. In contrast to migraine and tension-type headache, there are very few RCT in cluster headache. This is most likely due to the fact that cluster headache is a rather infrequent disease (see above). There is one RCT demonstrating the superiority of O2 versus plain air 91 . In one RCT subcutaneous sumatriptan 6 mg was superior to placebo 92 . In another, intranasal sumatriptan 20 mg was superior to placebo 93 and intranasal zolmitriptan 5 mg and 10 mg was superior to placebo in one RCT 94 . Subcutaneous sumatriptan 6 mg is the first-line drug for cluster headache attacks but it is very expensive. This headache is caused by inflammation of the cranial arteries and is usually seen in the elderly. It presents with increasingly intense throbbing or non-throbbing headaches. There is often a superimposed sharp, stabbing pain associated with thickened and tender arteries. The pain is usually unilateral, localized to the site of the affected arteries. However, it may also present as bilateral and explosive in nature in some patients. Pain may be present throughout the day and may be more severe at night. It may last for several months, if untreated. Diagnosis is often made based on the patient's age (> 55 years of age), no previous history of symptoms, general malaise, weight loss, low-grade fever, and anemia. Erythrocyte sedimentation rate (ESR) may be elevated (> 55 mm h), and 50 of patients experience generalized aching of proximal limb muscles. A complication of temporal arteritis is blindness due to thrombosis of ophthalmic and posterior ciliary arteritis. Tension headache is the most common variety of headache (Bendtsen 2003). It usually occurs bilaterally with temporal occipitonuchal or frontal predominance. It can also diffuse and extend over the cranium. Diagnosis is made by symptoms. The pain is usually dull, aching, and may be associated with other sensations such as fullness, tightness, and pressure. Unlike the migraine headache, tension headache is not associated with throbbing pain, nausea, vomiting, photophobia, or phonophobia and usually does not interfere with day-to-day activities. Tension headache may persist for days, weeks, months, and years with mild fluctuations. It may be present throughout the day and is often associated with anxiety and depression. This headache is present when the patient awakens or may develop soon after awakening. Tension headaches occur most often in the middle-aged population and are often associated with anxiety, fatigue, and depression. Cervical headaches are usually due to a dysfunction in the cervical spine regions as a result of trauma to the cervical areas. It is one of the more difficult types of headache to diagnose due to its etiology. It is hypothesized that changes in the blood flow to the vertebral arteries due to cervical spine dysfunction are responsible for affecting the cranial blood flow, thus causing headaches. Treatment generally involves diagnosing the underlying cervical dysfunction and restoring the normal cranial blood flow. Permits simultaneous assay of all of the sequences (i.e. polymorphisms) featured on the microarray. Common uses of DNA microarrays include susceptibility gene discovery and drug development. Recent success in the application of DNA microarray-based gene discovery for migraine suggest that population genetic studies of pain phenotypes are now tenable.31 In addition, the recent release of commercial DNA microarray-based pain candidate gene panels (http www.congenics.com) represents an intriguing research tool to explore inter-individual variation in pain, analgesia, and allodynia in human populations. Alprazolam is a high-potency, short-acting anxiolytic benzodiazepine medication used in the treatment of anxiety, panic, and phobic disorders. It has some antispas-modic and anticonvulsant effects. It is not antidepressant. It is sometimes used in conjunction with antipsychotic medication in acute psychotic episodes. Unwanted effects include sedation, headaches, paradoxical excitement, confusion, cognitive and psychomotor impairment, and confusion in the elderly. Long-term use may induce dependence with withdrawal reactions. Recreational use and abuse can occur alprazolam is a scheduled substance. Major contraindications to the use of the muscarinic agonists are asthma, hyperthyroidism, coronary insufficiency, and acid-peptic disease. Their bronchoconstrictor action is liable to precipitate an asthma attack hyperthyroid patients may develop atrial fibrillation. Hypotension induced by these agents can severely reduce coronary blood flow, especially if it is already compromised. Other possible undesirable effects of the cholinergic agents are flushing, sweating, abdominal cramps, belching, a sensation of tightness in the urinary bladder, difficulty in visual accommodation, headache, and salivation. Epi may cause restlessness, throbbing headache, tremor, and palpitations these effects rapidly subside with rest, quiet, recumbency, and reassurance. More serious reactions include cerebral hemorrhage and cardiac arrhythmias. The use of large doses or the accidental, rapid intravenous injection of Epi may result in cerebral hemorrhage from the sharp rise in blood pressure. Ventricular arrhythmias may follow the drug's administration. Epi may induce angina in patients with coronary artery disease. Use of Epi generally is contraindicated in patients receiving nonselective b receptor blocking drugs, since its unopposed actions on vascular a1 receptors may lead to severe hypertension and cerebral hemorrhage. The most troublesome conditions that befall a pain clinic are those for which no pathology is known (Table 12.7). For the visceral disorders, no special investigations are indicated once the condition has been established and other gynecological or gastrointestinal problems have been excluded. The various headaches are diagnosed by clinical features alone, and usually do not require further investigation. The investigation of temporomandibular dysfunction is highly controversial, and beyond the scope of this chapter. Options range from nothing to MR imaging and arthroscopy. No special investigations are known to be useful for burning mouth. Of all three groups of antidepressants, the SSRI group (see Table 5.2) has the poorest profile for pain relief (APS, 2006). When compared with placebo, these medications did not have any significant advantage for pain relief. Given the lack of efficacy for pain relief in these medications and the profile of side effects, sexual dysfunction, anxiety, sleep disorder, and headache, the SSRIs are not medications that should be given unless there is a specific indication for use. The recommended use for this group of medications is for patients who have concurrent depression, anxiety, or insomnia (APS, 2008). There are many preparations available that combine paracetamol with other analgesics. In a large, doubleblind, randomized, parallel group, placebo-controlled trial, Diener et al.102 investigated efficacy, safety, and tolerability of two tablets of the fixed combination of 250 mg acetylsalicylic acid (ASA)+200 mg para-cetamol+50mg caffeine in comparison with two tablets of 250 mg ASA+200 mg paracetamol, two tablets of 500 mg ASA, two tablets of 500 mg paracetamol, two tablets of 50 mg caffeine, and placebo in patients with episodic tension-type headache or migraine attacks. The fixed combination of ASA, paracetamol, and caffeine was statistically significantly superior to the other combina-tions.102 Many over the counter remedies contain paracetamol with a wide variety of other agents and these have not been addressed in this chapter. In his landmark paper on the power of the placebo, Beecher found that the number of patients who responded to a placebo varied between 15 and 53 (Beecher 1955). Other investigators examining such various diseases as headaches, low back pain, and angina have even reported response rates higher than 50 . The oft-cited statement that the response rate to placebo is 30 likely derives from the average of Beecher's original observations. Several randomized controlled trials of duloxetine for depression reported significant improvements in a variety of pain symptoms, including back pain, shoulder pain, and headache.96,97,98 II The findings from these and other similar trials have been summarized and subjected to further pooled analyses.99,100,101 I Painful physical symptoms among patients with depression was the primary outcome measure for a randomized placebo-controlled trial of duloxetine.102 In this particular study, subjects who received duloxetine 60 mg daily experienced significant improvements in pain and activity-related pain interference. These clinical improvements occurred independent of changes in depressive symptoms. Other uses for benzodiazepines have included treatment of restless legs syndrome, tension headache, and neuropathy (Bartusch et al. 1996, Bouckoms and Litman 1985, Dellemijn and Fields 1994). Clonazepam and alprazolam might be effective in patients with lancinating neuropathic pain in which allodynia is a prominent feature (Reddy and Patt 1994, Bouckoms and Litman 1985). Single studies have been published in musculoskeletal pain and headache (for the latter, see Chapter 34, Headache). Fifty patients with orofacial pain due to myalgia of the masticatory muscles benefited from high-dose gabapentin (mean 3400 mg day) reporting an improvement in pain and tenderness which continued after dosing had peaked.48 II Pain was reduced by 52 percent in the gabapentin group versus 19 percent in the placebo group. Used in various chronic pain conditions, usually neuropathic pain and or headache. The results are mostly disappointing and the few that claim efficacy are far from convincing. Some clearly negative results from large trials involving antiepileptic drugs remain unpublished. The clinician should therefore resist the temptation to try just another drug from this class when others have failed many old and new AEDs require good understanding of their pharmacological properties and attention to detail if they are to be used safely. In preparing this study,3 we made a number of a priori assumptions and exclusions. First, chronic pain was accepted as a label for a heterogeneous group of pain problems in which diagnosis, site of pain, or medical findings were not apparent major sources of variance in any of the targets of treatment. This probably reflects the assumptions made in many PMPs in clinical settings. Second, we excluded studies of psychological treatments of headache because the episodic nature of chronic headache is markedly different from nonheadache. Third, we also excluded trials reporting the effectiveness of psychological treatments for children with chronic pain, see Ref. 48 I . The study was designed to answer two questions. Fibric acid compounds usually are well tolerated. Side effects, most often Gl-related, may occur in 5-10 of patients but most often are not sufficient to cause drug discontinuation. Other infrequent side effects include rash, urticaria, hair loss, myalgias, fatigue, headache, impotence, and anemia. 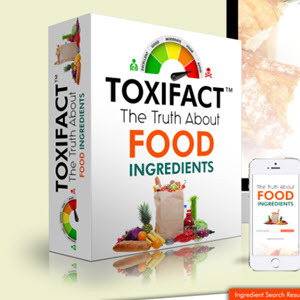 Minor increases in liver transaminases and alkaline phosphatase have been reported. Clofibrate, bezafibrate, and fenofibrate reportedly can potentiate the action of oral anticoagulants by displacing them from their binding sites on albumin thus, monitoring of the prothrombin time and reduction in anticoagulant dosage may be appropriate. Botulinum toxin (both A and B types) has been invoked in the treatment of cervical dystonia, migraine headache, tension headache, temporomandibular joint disorders, and chronic back pain (Argoff2005). Multiple series of injections may be required to achieve maximal analgesia. Contraindications include pregnancy, concurrent aminoglycoside antibiotic use (e.g., gentamicin, tobramycin), myasthenia gravis, Eaton-Lambert syndrome, and known sensitivity to toxins. Clinical resistance brought on by development of antibodies to toxins may reduce clinical efficacy after repeated administrations. Malaria is typified by high spiking fevers, chills, headache, myalgias, malaise, and gastrointestinal (GI) symptoms. Each Plasmodium species causes a distinct illness (1) P. falciparum is the most dangerous. By invading erythrocytes of any age, sequestering in the vasculature, and producing vasoactive products, this species can cause an overwhelming parasitemia, hypoglycemia, and shock with multiorgan failure. Treatment delay may lead to death. If treated early, the infection usually responds within 48 hours. If treatment is inadequate, recrudescence of infection may result. (2) P. vivax infection has a low mortality rate in untreated adults and is characterized by relapses due to reactivation of latent tissue forms. (3) P. ovale causes infection with a periodicity and relapses similar to those of P. vivax but is milder. (4) P. malariae causes a generally indolent infection. Clinical attacks may occur years or decades after infection. Doses of chloroquine used for oral therapy of the acute malarial attack may cause GI upset, headache, visual disturbances, and urticaria. Pruritus also occurs, most commonly among dark-skinned persons. Prolonged medication with suppressive doses occasionally causes side effects such as headache, blurring of vision, diplopia, confusion, convulsions, lichenoid skin eruptions, bleaching of hair, widening of the QRS interval, and T-wave abnormalities. These complications usually disappear soon after the drug is withheld. Rare instances of hemolysis and blood dyscrasias have been reported. Chloroquine may cause discoloration of nail beds and mucous membranes. Adverse effects noted most commonly include pain at the injection site chemical pancreatitis in nearly all patients elevation of serum hepatic transaminases bone marrow suppression manifested by decreased red cell, white cell, and platelet counts in the blood muscle and joint pain weakness and malaise headache nausea and abdominal pain and rashes. Reversible polyneuropa-thy has been reported. Hemolytic anemia and renal damage are rare manifestations of toxicity, as are shock and sudden death. The nature of the pain can simulate other disorders (e.g., trigger points in trapezius and cervical muscles can produce headache pain, and those in the paravertebral muscles can produce low back pain). Identification of trigger points is essential in diagnosing myofascial pain. Finding relief for menstrually related migraines. The Nurse Practitioner, 34(7), 7-9. Hu, X. H., Markson, L. E., Lipton, R. B., Stewart, W. F., & Berger, M. L. (1999). Burden of migraine in the United States Disability and economic costs. Archives of Internal Medicine, 59, 813-818. Martin, V. T. (2004). Menstrual migraine A review of prophylactic therapies. Current Pain and Headache Reports, 8, 229-237. Pietrobon, D. (2005). Migraine New molecular mechanisms. Neuroscientist, 11, 373-386. Stovner, L. J., Hagen, K. Jensen, R., Katsarava Z., Lipton, R., et al. (2007). The global burden of headache A documentation of headache prevalence and disability worldwide. Cephalalgia, 27, 193-210. Tepper, S. (2006). Tailoring management strategies for the patient with menstrual migraine Focus on prevention and treatment. Headache, 46(Suppl. 2), S61-S68. If no pelvic pathology is identified, then surgical neuroablative treatment may be considered. Other potential options with varying degrees of supportive evidence include long-acting hormonal therapies and nontraditional remedies such as vitamin E and B1 supplementation, magnesium supplementation, various other dietary and herbal remedies, acupuncture, and transcutaneous electrical nerve stimulation (TENS). A Cochrane review of high-frequency TENS for the treatment of dysmenorrhea found it to be more effective than placebo in relieving menstrual-related pain. However, the TENS group did experience a higher rate of muscle vibration, skin tightness, headache, and skin irritation 70-73 . Oxcarbazepine is used primarily as an antiepileptic drug to control seizures in patients. However, it has gained utility in various mood disorders including anxiety, depression, bipolar disorder, as well as in the management of neuropathic pain and migraine. Oxcarbazepine is structurally similar to an older antiepileptic carbamazepine, and like carbamazepine works by reducing excessive or inappropriate excitability of nerve cells that normally occurs in conditions such as epilepsy and neuropathic pain. Muscle spasm presents with a number of features. The patient complains of tightness and stiffness and the location of this is in a non-dermatomal pattern. It can be intermittent, eased by exercise although exacerbations after a period of exercise are common. Where it affects the shoulder girdle and neck, headache is common. Generally heat has a relaxant effect on muscles in spasm, although the duration of relief is very variable. 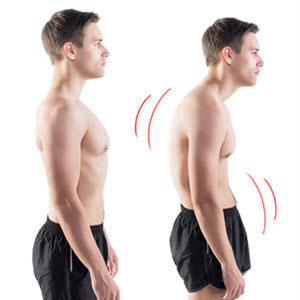 In some situations what is apparent is a mild increase in muscle tone while at the other end of the spectrum there can be complete spasm of the muscle so that it is tightly contracted. Complete spasm of a skeletal muscle can be intermittent and unexpected with sudden onset of incapacitating spasticity. They may exaggerate or feign medical problems, for example, complain of renal colic and prick a finger to add blood to the urine specimen, so you might believe a renal stone was not visible on x-ray. Their complaints may be hard to determine objectively, such as a migraine, tic, or toothache. Other relative contraindications should be considered on an individual basis, including migraine headaches, hypertension, diabetes mellitus, obstructive jaundice of pregnancy or prior oral contraceptive use, and gallbladder disease. If elective surgery is planned, many physicians discontinue oral contraceptives for several weeks to minimize the possibility of thromboembolism. These agents should be used with care in women with prior gestational diabetes or uterine fibroids low-dose pills are preferred in such cases. There are a group of disorders that have been termed affective spectrum disorders'' which frequently coexist with one another. These include fibromyalgia, but also irritable bowel syndrome, chronic fatigue syndrome, depression and anxiety disorders, and migraine. These are all associated with psychological distress. It had been thought that depression may lead to the development of widespread pain, and although it is commonly reported in fibromyalgia (in 20-30 percent of patients) it is more likely that it in fact occurs the other way round (the pain results in depression) as the majority of patients do not suffer from any psychiatric illness and, when present, the depression can be treated without improving the pain state. Sertraline has a number of drug-drug interactions of which clinicians need to be aware. Because the drug is tightly bound to plasma proteins, caution should be employed when sertraline is used in combination with pharmaceuticals possessing similar characteristics, such as warfarin, and prothrombin time should be monitored when sertraline and warfarin are used concurrently (Zoloft 2001). The potential for serotonin syndrome may be increased when sertraline is combined with other SSRls, serotonin-norepinephrine reuptake inhibitors, or triptans used for the acute treatment of migraines. The administration of sertraline and MAOIs is contraindicated because of the significant risk of serotonin syndrome with this combination.